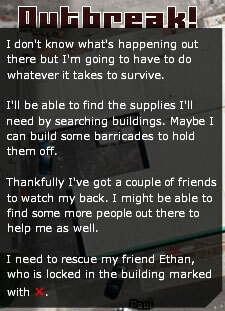 I’ve just released an update to Class 3 Outbreak to add the ‘rescue a person’ objective. This is a third option in addition to the default objective of killing all the zombies, or the ‘get to a building’ objective. 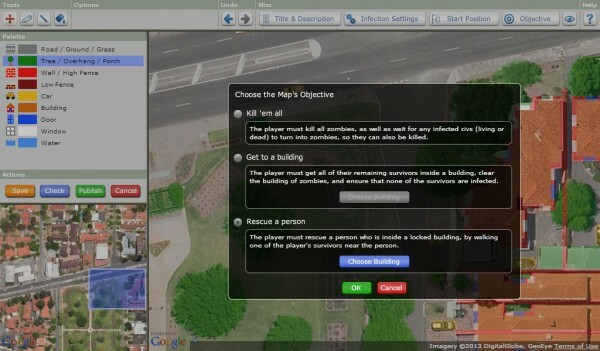 Then close the dialog, and save and publish your map. 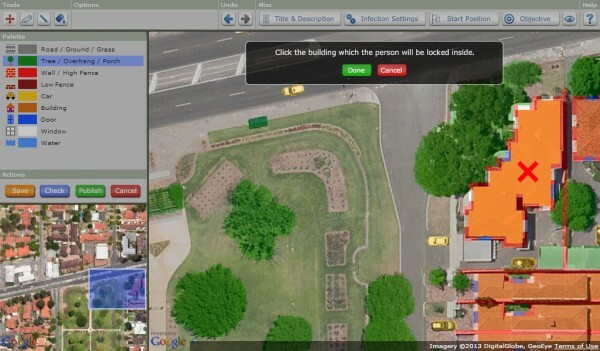 The doors of the building will initially be locked, so the person to rescue can’t wander out, and zombies can’t get in. The locked doors are drawn a lighter blue than normal doors, and they act like windows (ie, you can shoot through them, and zombies will be able to see inside). As soon as one of your survivors walks close to one of the locked doors, all of the building’s doors will be unlocked and behave like normal doors again. To rescue the person you need to recruit them like any regular named civ – so just walk up close to them with one of your survivors. If the person to be rescued dies or turns into a zombie, then you lose the game. The fat guy’s accuracy has increased from 30% to 45%, to offset his slower walking speed. When you start the game all three of your survivors are automatically selected. So if you wanted to move all of them together, you can just click once to move them instead of having to ctrl+click them all to group them together first. If you only wanted to move one of them, then just click that person to select only them, so it’s the same number of clicks as before. Brought back double-click-to-run, from the original Class 3 Outbreak. So if you click to move your survivors, they will walk to the destination. If they see a zombie along the way, they will stop and shoot at it, then continue towards their destination. If you double-click to move your survivors, they will run towards the destination, and not stop for anything. The walk speed is now a bit slower than it used to be, but the run speed is a bit faster than the walk speed was. The next update I have planned for C3O is to allow the map author to create a chain of multiple objectives – so rescue person A, then rescue person B, then get to building C, etc. 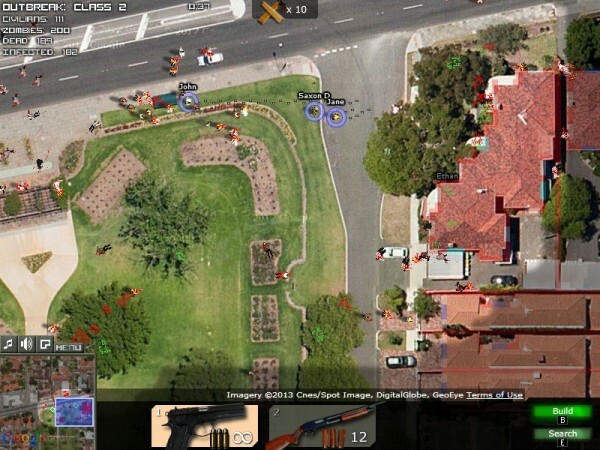 However since I have been alternating between web and mobile, before that I will be doing some more work on bringing Google Maps back to Zombie Outbreak Simulator for iOS. maybe something like a Hungerbar, so you have to loot for food. and i am dreaming about something like collecting Fuel for cars. so you collect at least 5 to fuel a car. once the car is ready u can choose betwen the 5 nearest maps to move on your journey. for each succsesfull played map you get points (until the player dies). so player can show there Highscores on a leadeboard. i really love the new/old way of Movement. feels much more natural. looks like a really cool idea, but you guys need a filter so people dont have to look at different maps to find a different mode. Can you something for you can customize your survivor? Hi Isidro, what kind of customization would you like to see?